The Perseid meteor shower is a result of Earth slicing through space debris left behind by comet Swift-Tuttle. Over four days this year, filmmaker Henry Jun Wah Lee hosted a workshop in Joshua Tree where he taught other artists to capture nature through timelapse. 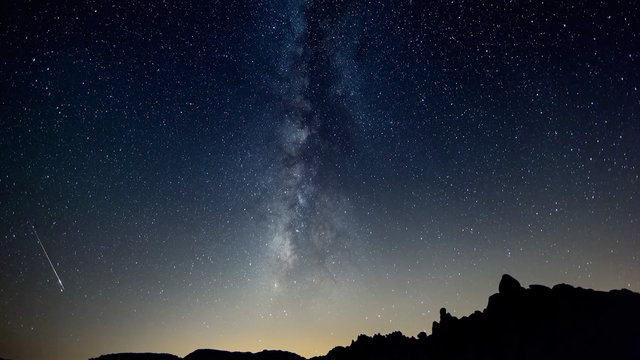 The video they created shows meteors shooting through the sky against a backdrop of the Milky Way, with traces of smoke from the nearby Silver Fire.